The admission into engineering colleges in Tamil Nadu will be based on class 12th Percentage. Candidates, those scores good marks in 10+2 examination, the priority will be given to them. On the basis of 12th percentage, the authority will release rank list. The TNEA Results/rank list will be published in the 4th week of June 2018. Candidates will get admission in the engineering Institution on the basis of the merit list. 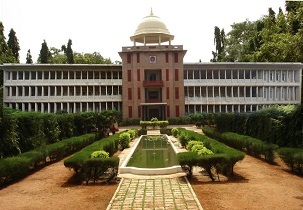 Thiagarajar College of Engineering(TCE), Madurai, an ISO 9001:2008 certified Institution affiliated to Anna University is one among the several educational and philanthropic institutions founded by Philanthropist and Industrialist Late. Shri. Karumuttu Thiagarajan Chettiar. It was established in the year 1957. TCE is funded by Central & State Governments and Management. The courses offered in TCE are approved by the All India Council for Technical Education, New Delhi. It was granted Autonomy in the year 1987. TCE has been accredited by the National Board of Accreditation. TCE offers Eight Undergraduate Programmes, Thirteen Postgraduate Programmes and Doctoral Programmes in Engineering, Science and Architecture. A central library with around 80000 books, 130 journals and over 1500 e-journals. Two banks (ICICI bank and City Union Bank), post office , food court, canteen and a stationery shop is in campus. Accommodation facility (Hostel) for both Men and Women within Campus. Internet ( 64 Mbps line)is available throughout college and Hostel premises using WiFi and a dedicated Central Computer Center with 120 computers for internet access. Strong tie-ups with different industries, R&D labs and Public Sector companies for training, placement etc. Collaborative labs with Microsoft, IBM etc. arrange inplant training during winter/summer vacations for students. aid students to undertake final year project work in the organization. organize model tests, aptitude test, group discussions and contest in order to train final and pre-final students to face interviews and competitions. conduct seminars on vocational guidance, entrepreneurship awareness camps and special lectures by eminent professionals. recommend names of fresh graduates for placement when requested by Government department/ private organisations/ companies.